The success of a marketing implementation project is dependent on the change of organizstional processes and mindsets. It's vital that sales and marketing know what they want to achieve, and how to get there with IT's input. 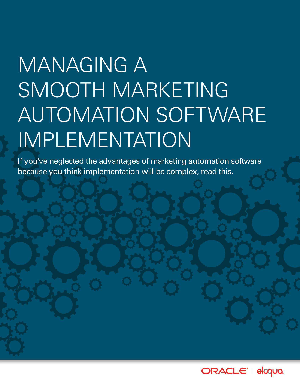 Addressing these issues in the planning stage will ensure that the sales and marketing teams are not only prepared for the new way of working but that they also have a really identitfies how marketing automation will add value to their roles and the business as a whole.